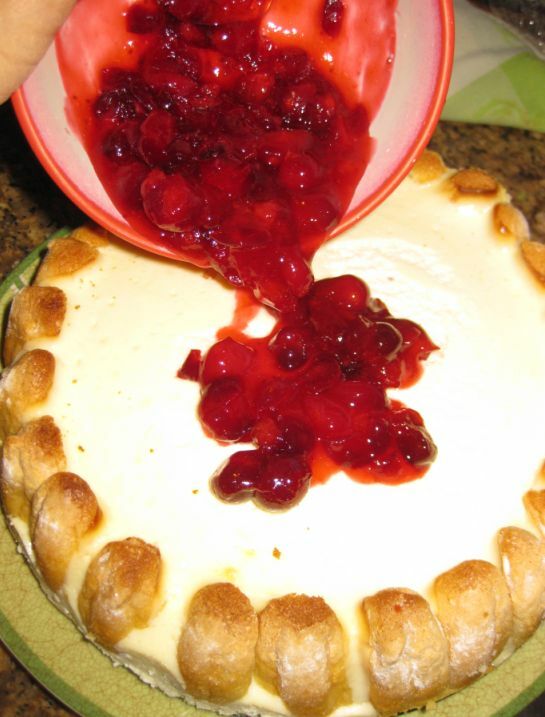 This is the third time I made this cheese cake and each time it is a hit! 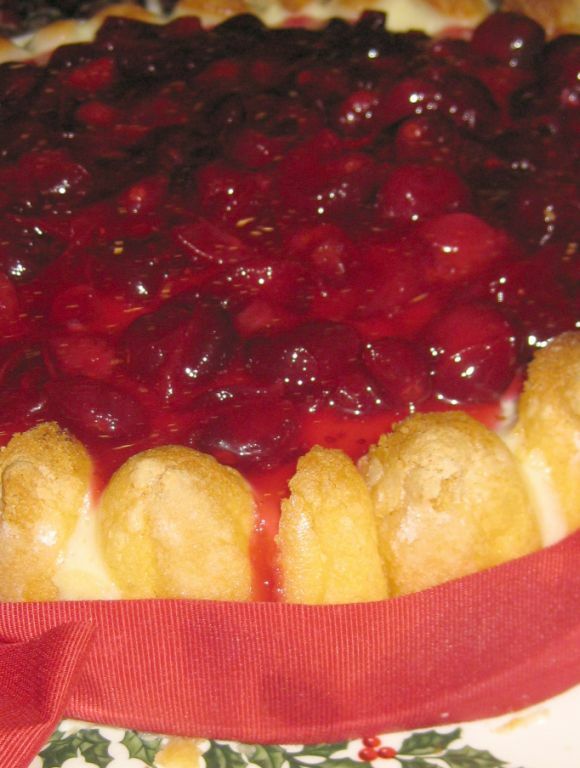 This cheese cake is creamy and has a lemony taste. It is a bit tart and tangy which I really like. 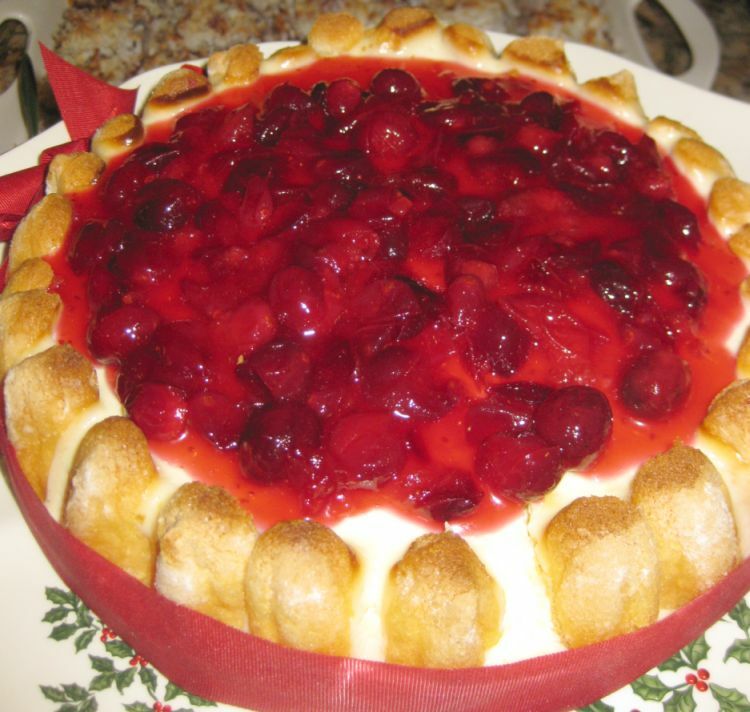 You can make this cheese cake without the ladyfingers crown but I think it looks a lot nice with it. The cake base absorbs any liquids from the filling making the cake more moist and tender. 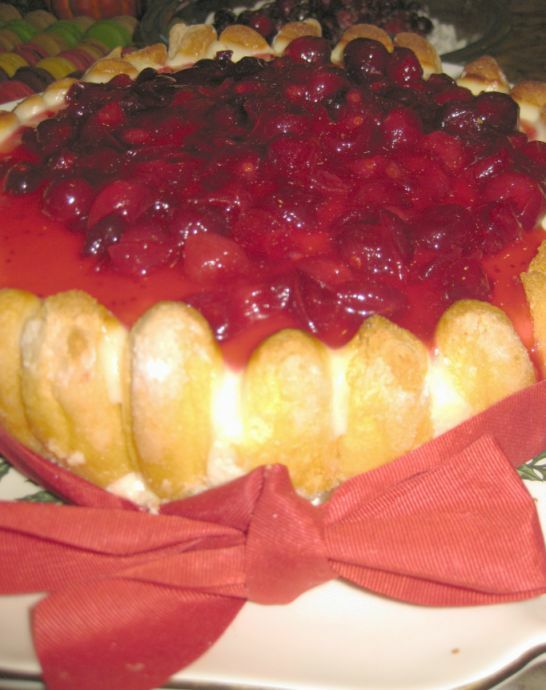 I usually made the topping of the cheese cake with fresh raspberries but since this the holidays and fresh cranberries are now available, this is the perfect time to decorate the cheese cake with cranberry, which is perfect for this time of the year. 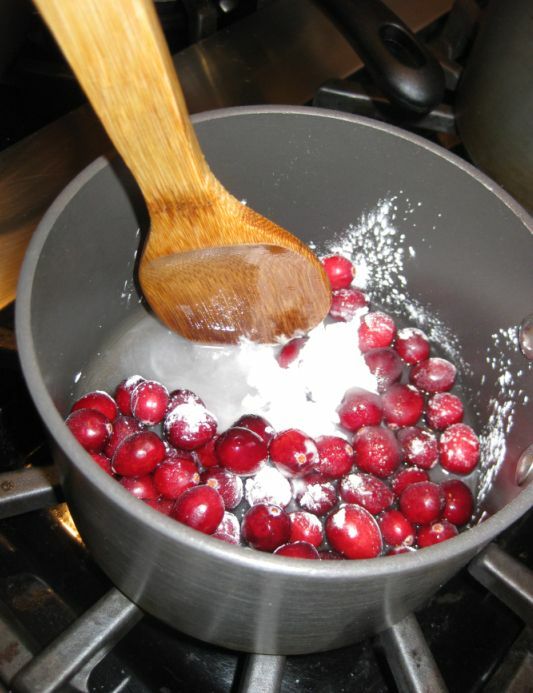 In a small saucepan, combine the water, sugar, cornstarch, and cranberries and bring to a boil over medium heat . Stirring constantly for about 1 minute.. Stop stirring, reduce the heat and simmer for another minute. 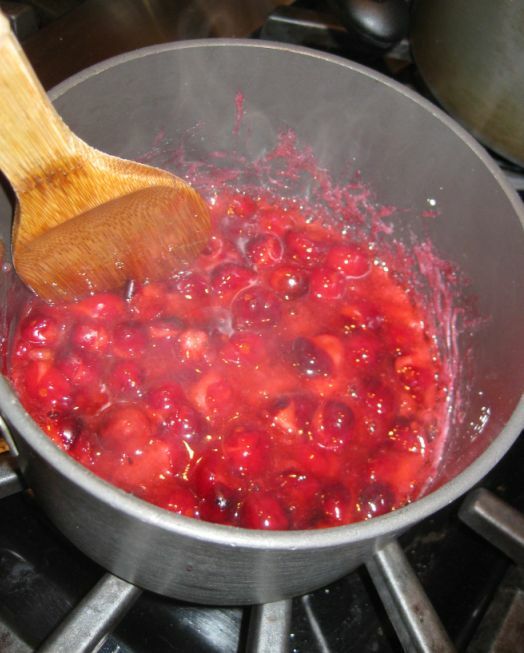 The mixture will be thickened but pourable. allow the topping to cool down to room temperature and pour it top of the cake. Spread the topping evenly.